Dr. Gabe Petrocelli is a graduate of the Hartt Conservatory at the University of Hartford. He earned a Master's Degree in Music Composition and Theory at California University, Los Angeles and a doctoral degree at the University of La Verne. Dr. Petrocelli studied music composition with Alvin Epstein and Byuong Yong Kim; conducting with Phillip Treggor and Dr. Vito Susca; Jazz Studies and Composition with Alexander Lepak, Lenny La Croix, and Buddy Collette; and film composition with Jeff McDonald. In 2004, Dr. Petrocelli composed the concert march "The Bandmaster" for the commemoration ceremony to honor Jack Mercer and the naming of Mercer Music Hall on the campus of Chaffey High School. In 2006, Dr. Petrocelli's "St. Mark's Passion" for Chorus and Organ was premiered at the Assisi Musical Festival in Assisi, Italy. In 2010, he composed a work entitled "Centennial" to commemorate the 100-Year Anniversary of the Chaffey Joint Union High School District. Dr. Petrocelli has written nearly 150 arrangements for the Ontario Chaffey Community Show Band and numerous others for high school bands and orchestras throughout Southern California. In 2011, he composed the film score for a documentary movie entitled "Mayberry Days." He has composed music for NBC-TV and written musical arrangements for Hanson Publications. 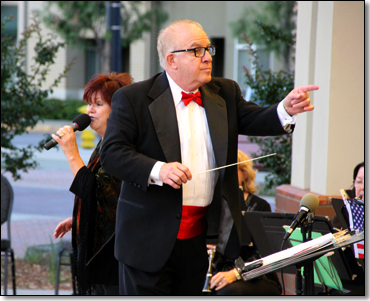 For the past eight years, Dr. Petrocelli has been working as the associate conductor and arranger for the Ontario Chaffey Community Show Band. Recently, his compositions have been premiered by the Show Band and concert artists that include Maria del Carmen Perez performing "Waltz Fantasia" and "Los Canciones Para Piano," Jason Goodman performing a percussion concerto entitled "Divertimento Espanol," The Windsong Chorale, and Inland Valley String Orchestra that performed an original suite for string orchestra entitled "An American Biography." Dr. Petrocelli has written numerous songs and arrangements for many ensembles and soloists in the New York City and Los Angeles areas that include artists such as Andrea Calderwood, Marilyn Sherwood, Jim Perkins, Sheila Ruff, Jim Bonner, Brian Detwiler, Angie La Duke, Gabe La Rosa, Leon McCrary, Chris McAleer, Aimee Nolte, Taber Shy, and Rock and Roll Hall-of-Famer Ron Ellington Shy. 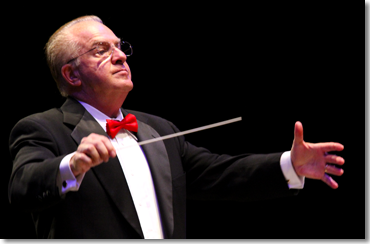 Beginning the 2013-2014 concert season, Dr. Petrocelli stepped up to the podium as the new director of the Ontario Chaffey Community Show Band, taking over from the legendary founder and director Maestro Jack Mercer.